Today, we ran the Lopez Canyon Rocky Road section. We parked up by the horses at the top of Lopez Canyon. SF Master Gato Abel runs like a bat outta hell, and wins. His mouth is full of peanut butter sandwich and MandMs. 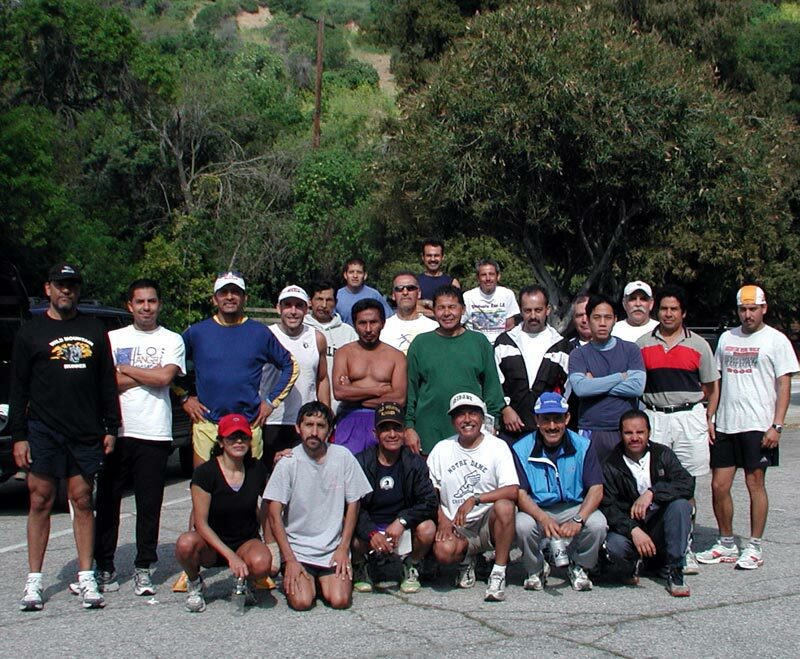 On Sunday, April 3, 2005, Freddie Perez came south with a number of San Fernando Gatos to join the Griffith Park Gatos for the perennial Sunday run. Freddie was joined by some Gato veterans like Abel and Ramon Apache Cuevas. The GP Gatos got to meet Ted McDonald, a relative new member who has contributed his skill to develop a great new web site. The site will provide a valuable venue for communication to all Gatos, both present and past. The GP Gatos will be able to place the newsletter in the website and will contribute stories, photos and information. Gatos love tradition. First there is the traditional Jimmy Stewart Relay Marathon, the Hollywood Sign run, the Mario Molina Sunday-menudo (or whatever he feeds us) run. Then there is the Christmas Day run. On Christmas Day 2004 30 plus Gatos got together at the parking lot to begin this annual event. This is one of the more colorful traditions were all the runners put on their Santa Claus hat and take on the grueling Holly ridge run. This time we were joined by new runners who thought the whole event to be a blast. Although some of us were certainly out of shape, we managed to complete the run and enjoy a festive time with a few cold ones. After many months of anticipation and hundreds of miles of running, Julio Jaramillo qualified to run the Boston Marathon. 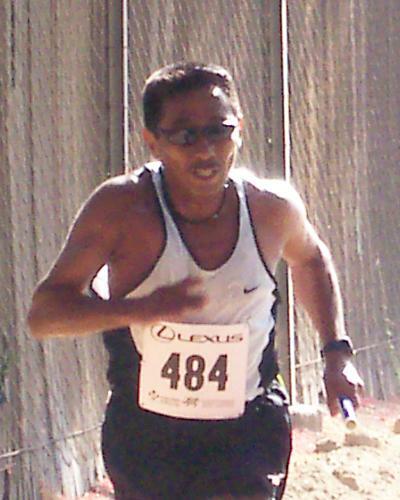 Julio ran the minimum time of 3 hours and 30 minutes at the 2004 Long Beach Marathon, a time required of men age 45 to 49. Julio completed Boston in 3:51. Congratulations J.J.! 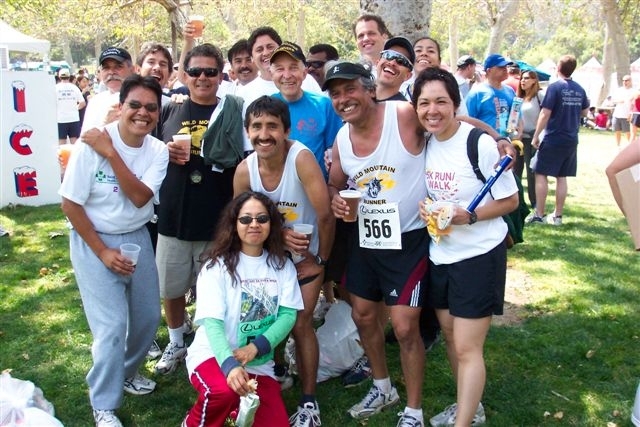 Mario Molina Hosts Another Sunday Menudo Run. 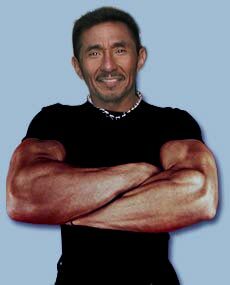 For those Wild Mountain Runners from HD, SF and GP who love to eat good food after a long and hard hilly run, show up at Mario Molina's house by 7:00 a.m. The run starts at 7:30. Mario lives at 3234 E. Charlinda Street, West Covina, Calif. 91791. Call to confirm: 562-842-6253. 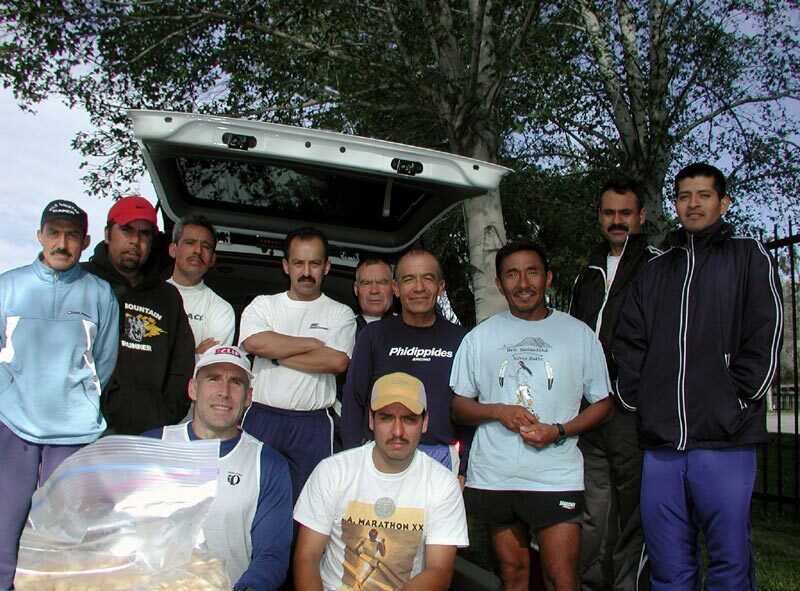 On Saturday, April 16, 2005, Ted McDonald, Freddy Perez, and Mario Sanchez and a group 25 others ran a 50 Kilometer (31 mile) mountain run. The elevation climbed to 12000 feet! The run was completed in over 8 hours. 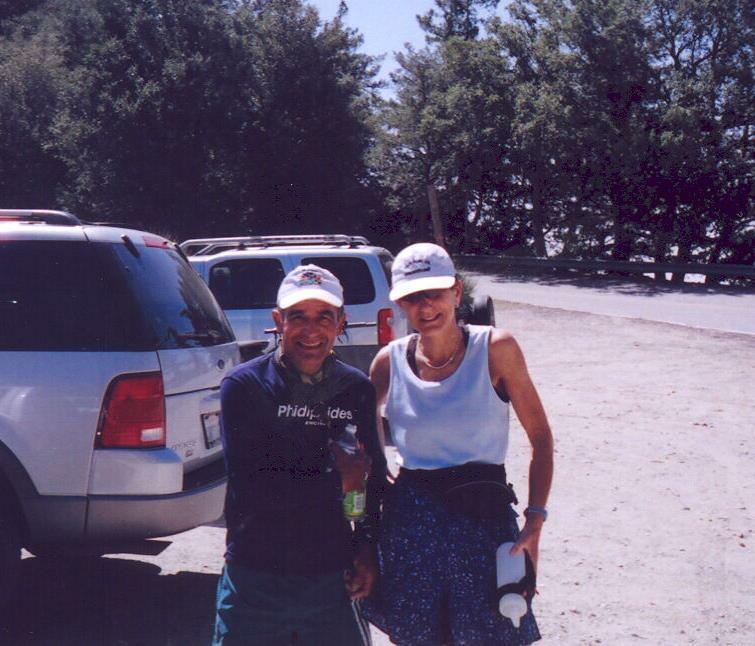 A combination of solid master ages and talent gave the Wild Mountain Runners from SF and GP 1st (2:52:10) and 3rd (3:02:45) place medals at the Jimmy Stewart Relay Marathon hosted on April 17, 2005. Veteran Gatos from SF included Abel Ibarra, Ramon Cuevas, Antonio Arrevalo Veterans from GP included Roberto Perez, Bob Macias, German Alonzo, Felipe Reynozo, and Mario Sanchez. 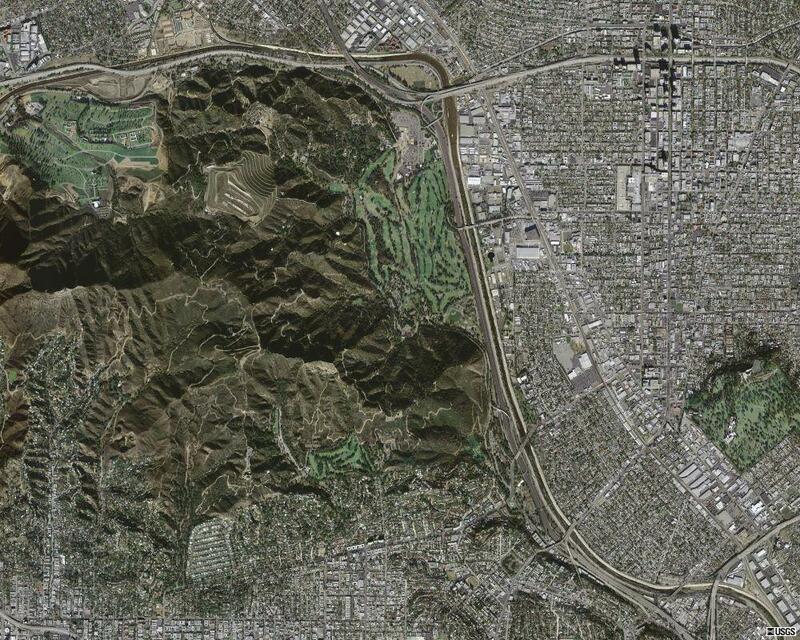 You've see him running free and wild at Griffith Park whether at 5 a.m. or late in the afternoon. 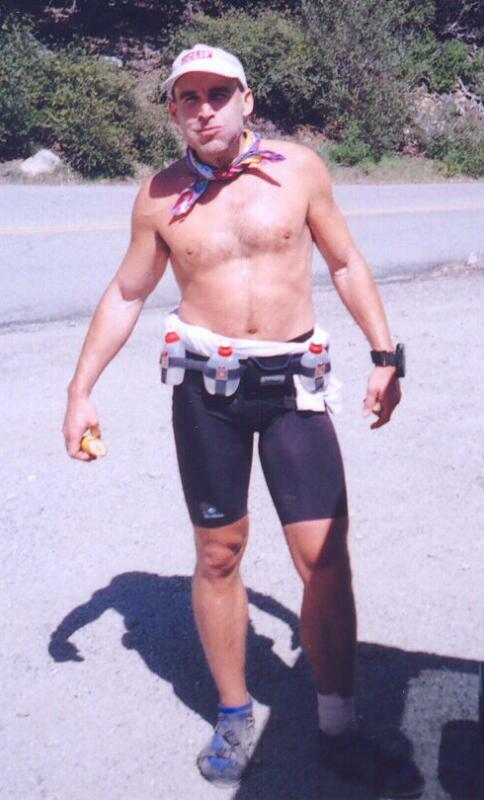 You had seen him run 22 consecutive Tetrick Trail run preparing for the LA. Marathon (currently planning to run 30 consecutive Tetricks for America's Finest �?�). Unfortunately, he was not able to run due to a virus he contracted a few weeks before the marathon. However, on Saturday April 9, 2005, on a cool spring morning he destroyed the 55 to 59 age division with a 20:30 at the Santa Anita Derby Run and placed 24 overall in a field of 1000. 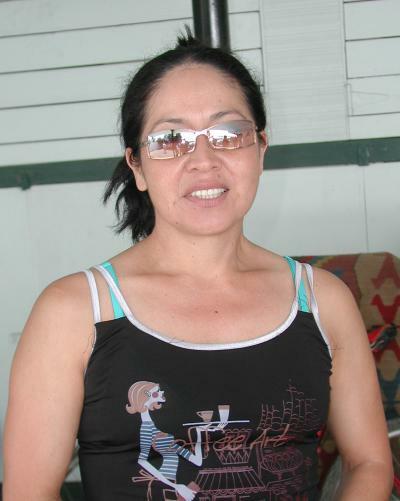 "This was a very difficult course because of too many turns and steep inclines. If not because of this I would have destroyed the 20 minute barrier Cuidado!, said Roberto. Another surprise was Douglas Martinez who finished 9th overall and 5th in his age division with a 19:30. 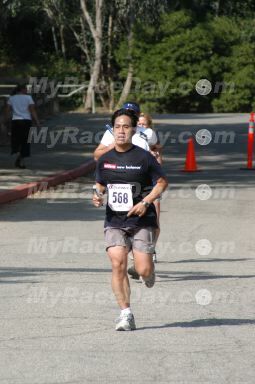 Congratulations to Carlos Arellano who placed 55th overall and 16th in his 45 age division. It appears that Carlos is going to be an asset to the Gatos as he ran a 37 for the 5.2 course at Jimmy Stewart. Yours truly placed 40th overall and 4th in the 50-54 age div. Hey Gatos and Gatas, Santa Anita is a family affair as attested by Ricky Jr., age 5, son of Gato Ricky Menjivar and my nephew Joshua Vivanco, age 5 who ran a 75 yard kid race. Ricky Jr. finished before Joshua. Joshua's brother, Matthew followed a few yards behind Joshua with his famous arm swing which he learned from me. See you guys and ladies at the next Santa Anita Race. Quote to reflect on �?? No one knows the fear in a front-runner�? ?s mind more than me. When you set off at a cracking pace for four or five laps and then find that your main rivals are still breathing down your neck, that�? ?s when you start to panic. In an effort to update our newsletters and its usefulness to our members, we encourage your inputs and contribution in any kinds of topics or articles you feel most beneficial for our members. Please feel free to submit articles, drawings, comments, advertisements, etc. to the editorial staff via - E-mail: Chris Quesada chris.quesada@sbcglobal.net , Gilbert Varela gilvarela2000@yahoo.com , Ted ted@barefootted.com or simply hand carry to any of us. Note: All articles submitted are subject to editing for content and length. Articles and stories will be reviewed by Gilbert Varela, Chief Editor & Ted Mcdonald, Webmaster for final content. Photos submitted may be edited for size, content, or space depending on how pleasing to the eye and mind of Chris Quesada. Submission of material does not guarantee that it will be presented on the website.